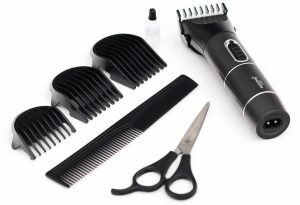 Barbing salon business plan in Nigeria – barbing salon business remains is one of the rapidly growing beauty industries in nigeria today and many people are making some serious money from their barber shop. After payment text your name, your e-mail address and bank teller number to 07036785443 and you’ll receive your BARBING SALON BUSINESS PLAN IN NIGERIA. Get our barbing saloon business plan is one thing but the barbing saloon business is one that requires that you have some experience in the barbing saloon business. starting a barbing saloon in nigeria is not a business you just rush into it all in the name of becoming barbing saloon owner or because you have given a few of your friends good haircuts. if you know you that you are not yet a professional, you can either go and get trained or employ a barber to avoid the embarrassment that you might get when you give a whack hair cut t a potential costumer. Its advisable to take some time and learn what the Barbing saloon Business demands. Learn the different styles in vogue, hair treatment, health and beauty tips and customer care. Don’t be in a hurry to become a barbing salon owner. Go through training first, even if you won’t be the actual person giving the haircuts in your business! Get your barbing salon business registered with the corporate affairs commission of nigeria. The location where you barber shop is located also plays an important role in determining how profitable you barbing saloon business would turn out , select A Street that is easily accessible from all parts of your desired area. Busy streets, close to a shopping market/ mall, are an advantage. Starting a barbing salon requires enough capital but The amount of capital you need to start the business depends on your choice and quality of salon design, rent, fixtures and leasehold improvements and equipment that you intend to use.